* Special - No Annual Fees! Math homework and getting an online math tutor or teacher is just a click away! Congratulations, you are only a few moments away from beginning the process of improving a student's grades. 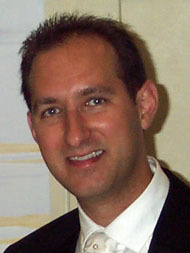 Lior Doron (B.A., D.S.A., M.Sc. ), has over 10 years of experience as a high school math and English teacher and personal tutor guiding students towards academic success in the classroom. Flow in Sports offers tutoring for students online with a specialty in math. We show you step - by step how to tackle difficult questions and problems. By having a Flow in Sports tutor, you can get answers to your questions via email or when available - live - using popular chatting software. Flow in Sports tutoring is an excellent way of getting help with your school work. If you are not satisfied with your marks in school, try a Flow in Sports tutoring session. In order to maximize your savings, buy nine sessions and get one free. Allow Lior Doron who has helped thousands of students as a teacher and tutor improve your grades. The results can be impressive. Ask for a free 15 minute initial tutoring session. Interested in getting an even lower rate? Find out how right now. 1) Register to receive flow in sports tutoring. 2) Pay by clicking below. 3) Reserve a tutoring session via email or call toll free 1.877.778 (FLOW) 3569. That's right. If you are not 100% completely satisfied with the services received with your initial Flow in Sports tutoring session, you get your money back! This is valid for your 1st 60 minute (one hour) tutoring session only. * Special - Receive 60 Minutes Free! As a limited promtional offer, we are offering an extra 60 minutes of flow tutoring time at no charge with ANY package purchased. * Please note you may benefit from a lower price if other students register with you. We try to reward you by offering you a lower price if you can refer a friend. Be sure to mention their names in the registration process or via email. Montreal area students requiring personal tutoring click here. 1)Lior Doron has over ten years experience (still very young yet a lot of experience) teaching and tutoring within the classroom with a very high success rate. He also has many years of quizzes, tests and exams with solutions and guided step-by-step explanations. 3) Flow in Sports offers a 100% money back guarantee for first time clients with the purchase of 60 minutes of online tutoring. You have no risk. 4) See what other satisfied clients are saying about receiving online and personal tutoring from Flow in Sports. 5) Interested in paying a lower rate? Click here to find out how. 6) Take a look at what Mr. Doron is doing in his classroom - a taste of what he can do for your son or daughter. Check out his website that is designed for his students. Click here for more information. 2) Pay by clicking in the appropriate box. 3) Reserve a tutoring session 1) via email 2) call 514-337-6252 or toll free 1.877.778 (FLOW) 3569 to get started right away. Does your child need a tutor? Read the signs.